$2 Discount Digis on sale! She's so cute, thank you Amanda! Thank you for the sweet little fae Amanda!! Such a cutie! Thanks so much! Thank you so much for this cutie!! I have missed so many One Day Faes! I am so glad I got this one! She is super adorable! Thank you so much! Thanks so much, I love her. She is adorable. Thank you! Oh my goodness, she is WAAAAAY cute! Thank you for sharing her with us! She's so cute! Thank you so much for sharing her with us. Thanks bunches for this cutie!! Thanks Amanda! She's so cute!! Have a wonderful week!! Thank you Amanda, she is cute! She´s sooo adorable and cute, thanks so much Amanda. She is too sweet! Thank you so much Amanda. She's absolutely adorable! Thanks as usual Amanda! Thank you so very much for your kindness Amanda! Thank you so much for bread and butter fairy I love your work and it's so sweet of you to have these monthly giveaways. 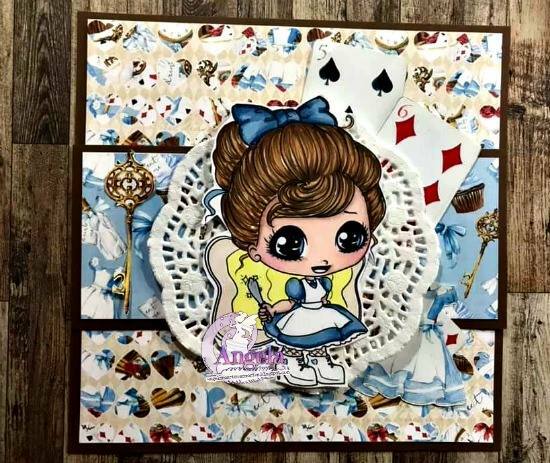 Love the Chibi in Wonderland - thank you Amanda for your awesome creations! Thank you so much, she's so cute! Thank you for this little cutie! Thank you, she is a cutie! awwwwwwwwww, she's so darling! Thank you so much! Thank you so much. Love your images. So sweet, love her! So generous of you as always, thank you. Super duper adorable! Thank you so much for another fantastic one day giveaway! htank you so much she is a DOLL! Thank you, Amanda! I was late and i loved that you still had her available! What a fun treasure! Thank you so much!! I've been ill and missed it but thank heavens it was still there as it was my mom's birthday! Gone 12 years but never forgotten. I will color her with mom's favorite colors!